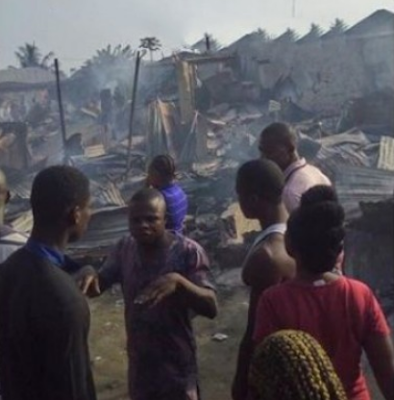 An early morning fire has reportedly killed a woman and her two children in Abuloma, Port-Harcout, Rivers State. The fire was said to have started as a result of an electric spark around 2am yesterday. 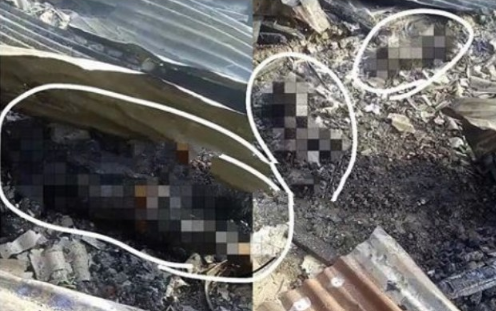 The woman and her children were reportedly deep asleep at that month and were only woken up by the smoke after the fire had engulfed their apartment. Efforts by neighbours to save them by was futile as they had reportedly locked the door from inside. The family eventually passed out from the dangerous smoke they inhaled before being consumed by the fire, witnesses at the scene said.